APPLY TO THE MAYOR'S YOUTH COUNCIL! 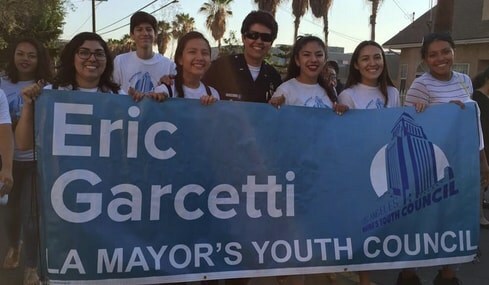 Students that are interested in making Los Angeles a better community and voice the concerns about their community are encouraged to apply to be part of the Mayor's Youth Council! The MYC is open to all High School students who live in Los Angeles and have a 2.5 GPA. This is an opportunity to be involved in your community and be a part of the leadership for the City of Los Angeles. Let's let the voice of Hawkins be heard! The Application is online and can be found HERE (application window is now closed). Applications are due Monday, September 12th. Students, do you love the beach? Do you love the environment? Looking for volunteer hours? Then sign-up for this year's Coastal Clean-up Day! 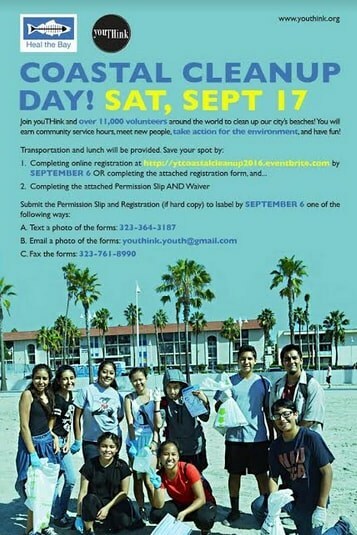 On Saturday, Sept. 17th, Heal the Bay and YouThink will be sponsoring their Coastal Clean-up Day and they are looking for students to volunteer. The deadline to sign-up is Tuesday, Sept. 6th, so make sure you get registered and have your form completed to participate. To download the volunteer form you can click HERE and you will need parental permission to participate. Want to learn photography, go on field trips to art galleries, meet professional photographers and explore LA? Then you should totally join Las Fotos Project! 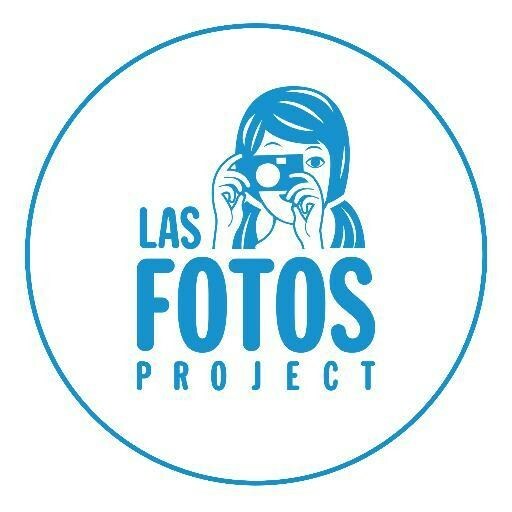 Las Fotos Project is a community-based organization that teaches photography to teenage girls in different parts of Los Angeles. Girls who participate in our program will be paired up with a mentor who teaches them how to use a digital camera to express themselves and share their stories. You can be that girl! All equipment is provided and the program is free to girls who are accepted. All you need to do is commit to coming to the weekly classes. Class are on Thursdays starting September 15th from 3:30 pm to 5:30 pm here at Hawkins in Room 433. The program will run until December 8th.